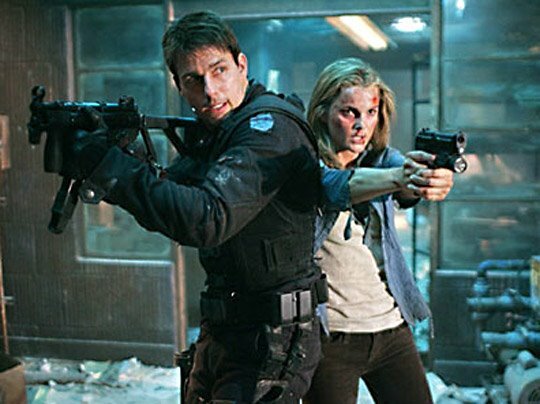 Mission: Impossible 3 is alright. Tom Cruise is at his enthusiastic, speaking-with-such-forced-integrity, stunt-happy best, and there are some good action scenes, but all told, I wasn’t blown away. 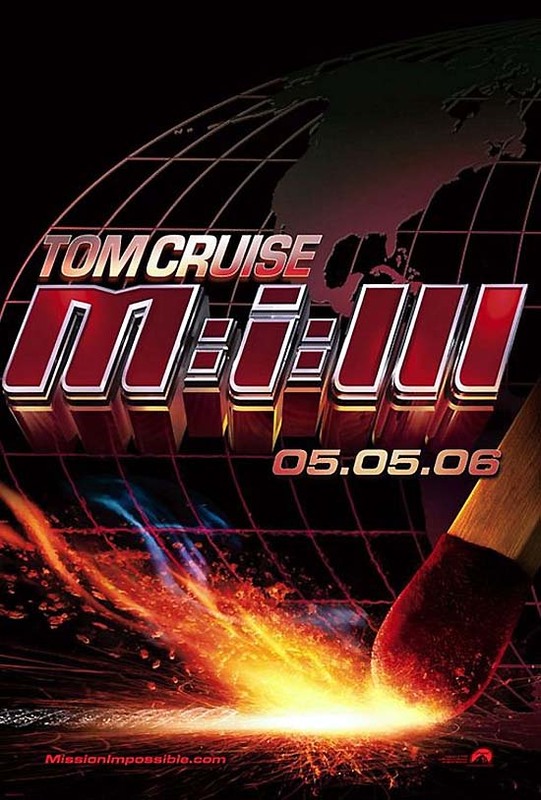 First off, it’s funny to even call this the third movie in the Mission Impossible series. Since each film was directed by a different director and, with few exceptions, has a different cast, there’s hardly any continuity between them. This one just felt like an action flick, independent of the series. In fact, were it not for the theme song, it probably could have been a big-screen, male-centered episode of Alias. I mean, the movie plays in a number of ways like an early episode of the show: Ethan keeps his real job a secret from those he loves, there’s a kooky computer/IT guy, there’s a torture scene that takes place in a dentist’s chair in China, plenty of disguises, and oh yeah, even Greg Grunberg has a quick cameo (he is writer/director J.J. Abrams’ best friend and J.J. puts him in most everything he does). Which is not to say J.J. is a one-trick pony. He seems to have a knack for directing great action-oriented stories when he has the opportunity to, and isn’t hemmed into a format like he is here (i.e. : Tom Cruise movie). So in that respect, it felt limited because if you’re not rooting for Tom Cruise, then you don’t really care what’s going on. But J.J. sure does right by those he loves. 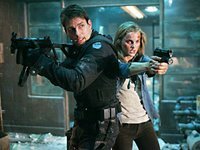 For example, in addition to Greg Grunberg, I have to say the best scene in the movie for me was the one early on when Keri Russell is thrown a gun and takes down some bad guys. Unfortunately, she’s only on screen for a total of about 5 or 8 minutes, but as a longtime fan of Felicity, it was a real trip to see her shooting a gun with such precision and edge. It was the one scene that truly made me smile. Otherwise, while Philip Seymour Hoffman is good, he doesn’t seem to be having enough fun. J.J. should have given him some better lines and some more screen time. And then threre’s the mediocre Kanye West song that plays over the end credits. Ugh. In total, M:I3 rates a B– on the Martin Meter. You could do a lot worse.